For some reason, this year especially, my sweet tooth has been in full force around Valentine’s Day – if you couldn’t tell from my Sea Salt + Maple Bacon Chocolate Hearts or the delectable Deep Fried S’mores I devoured after Jaime made them. 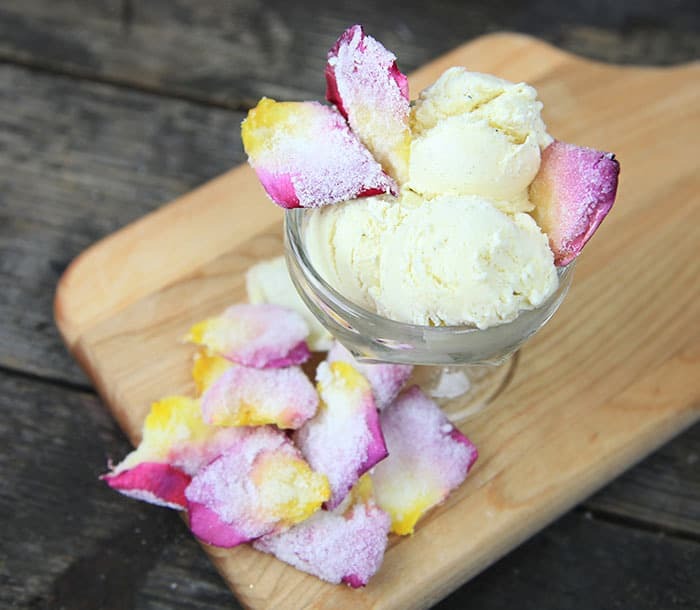 This got me thinking, what if you could do something extra special with roses for Valentine’s Day, like eat them. Well, in fact you can and they are delicious. 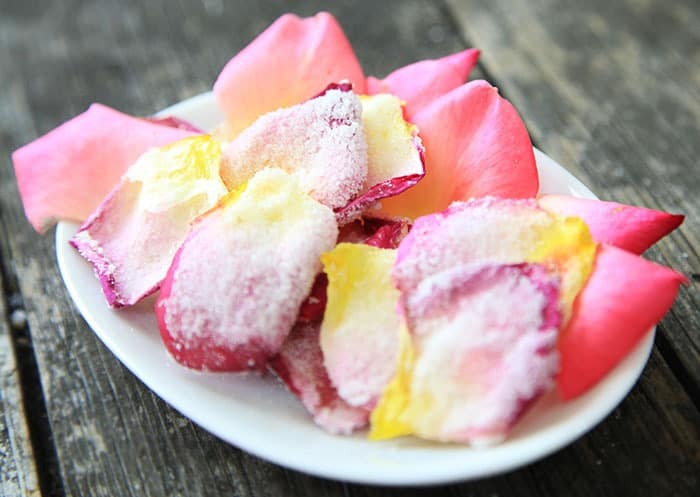 You could eat them alone, but they are kind of a rose explosion in your mouth so making them a garnish for desserts like ice cream or cake is even better. 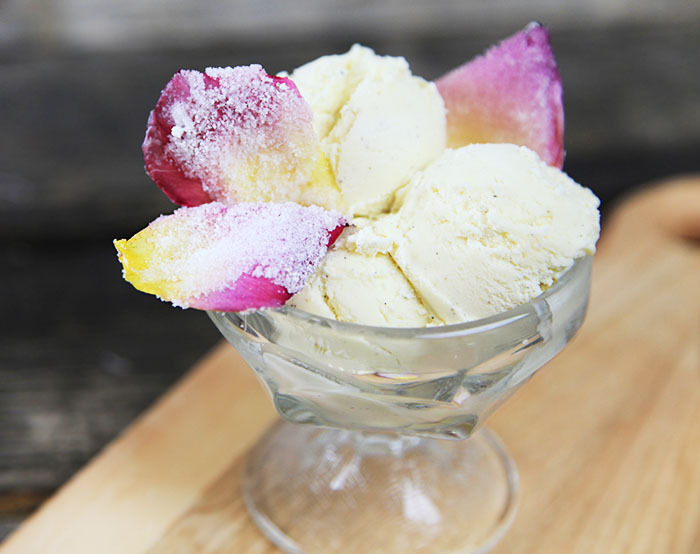 Toss a few in your glass of bubbling champagne! 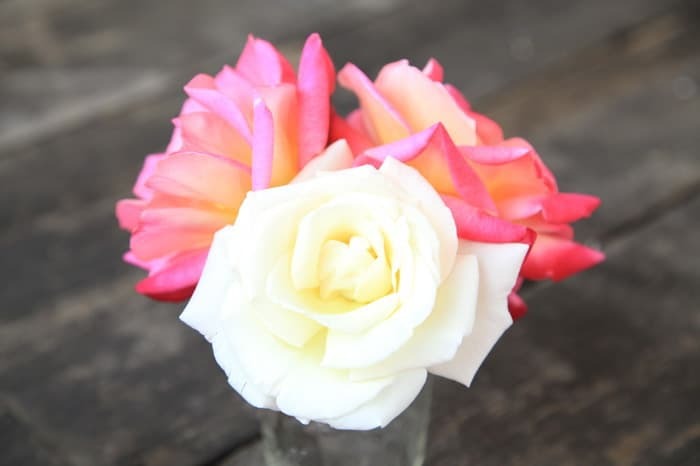 Grab your bouquet and let’s get to work. 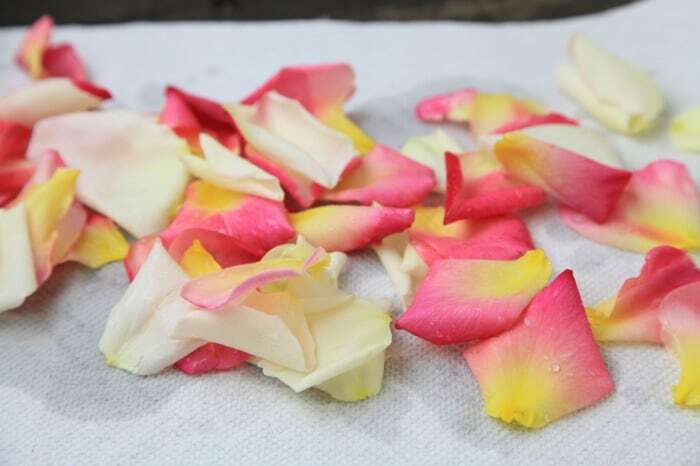 First, you’ll want to take off the petals of the roses gently so they don’t tear. 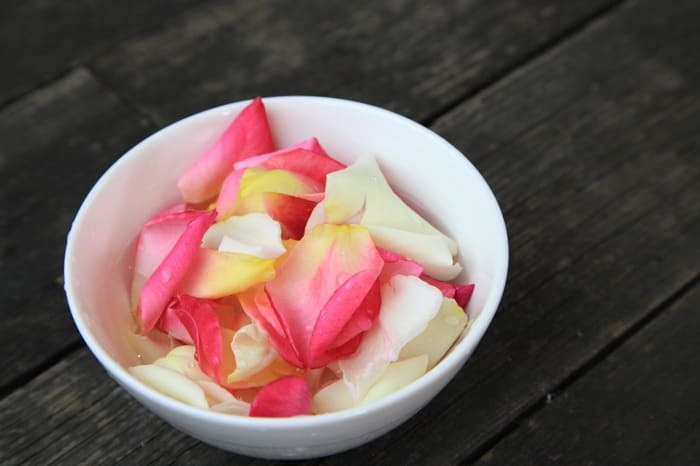 Soak them in water to get them all clean. 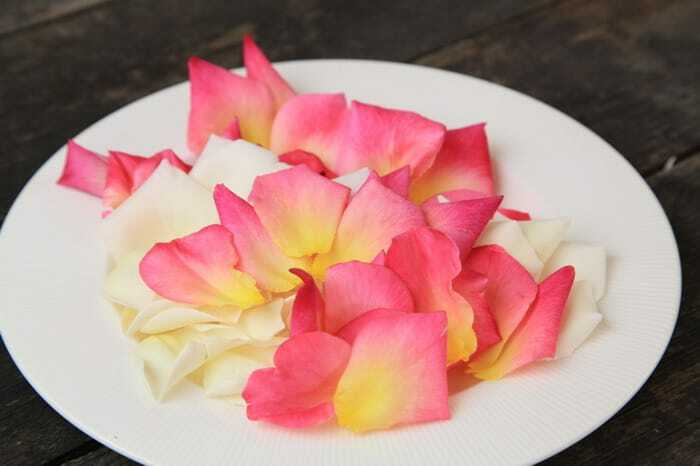 Lay them out on a paper towel and pat dry. 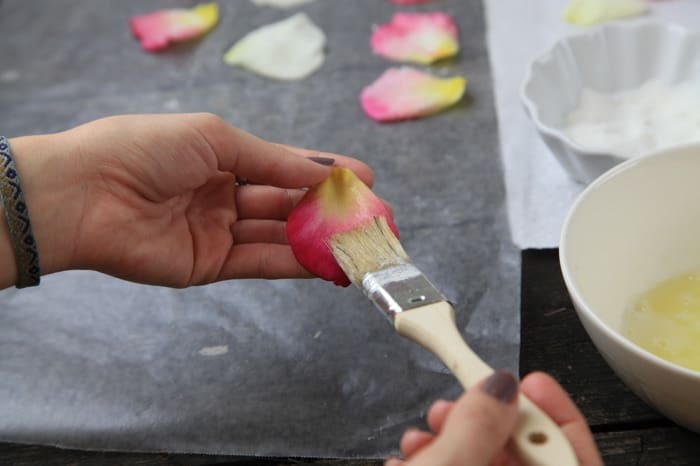 Take meringue powder, measuring spoons, and a brush. 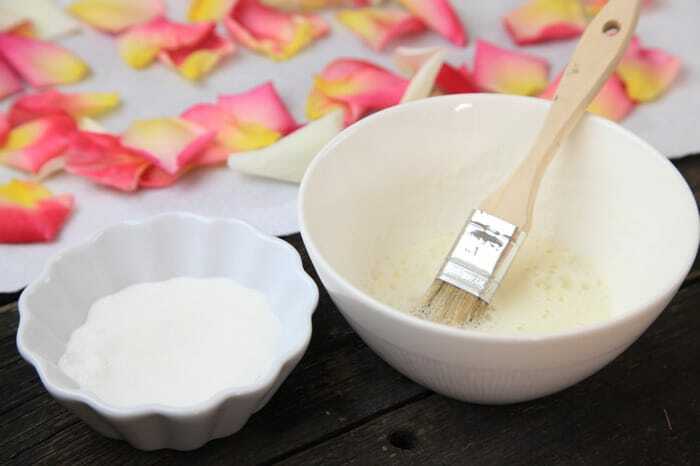 We are using meringue powder as an egg white substitute. 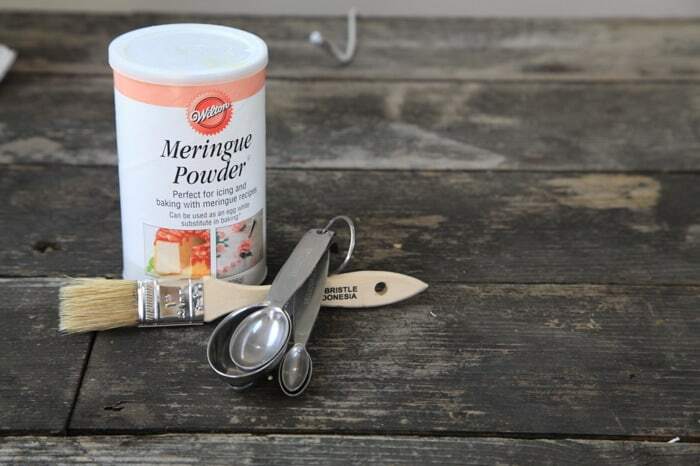 Mix up the meringue powder mixture with water according to the directions on the back of the container. In this case, I mixed 2 tbsp of meringue powder with 2 tbsp of water, which equaled 1 egg white. 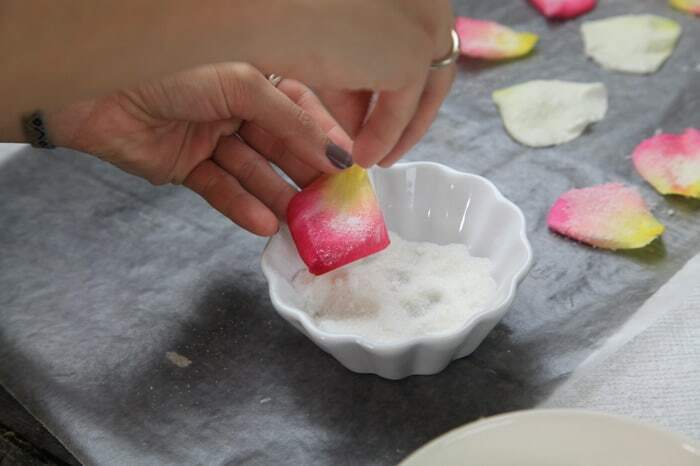 Brush the mixture onto each rose petal one by one. 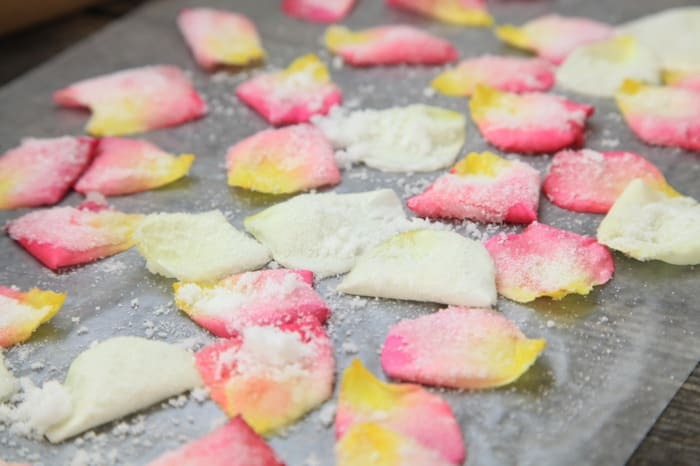 Sprinkle sugar onto the rose petals before they dry. Lay them out to dry overnight. Some may take a little longer to dry. They’re done! Now it’s time to enjoy. 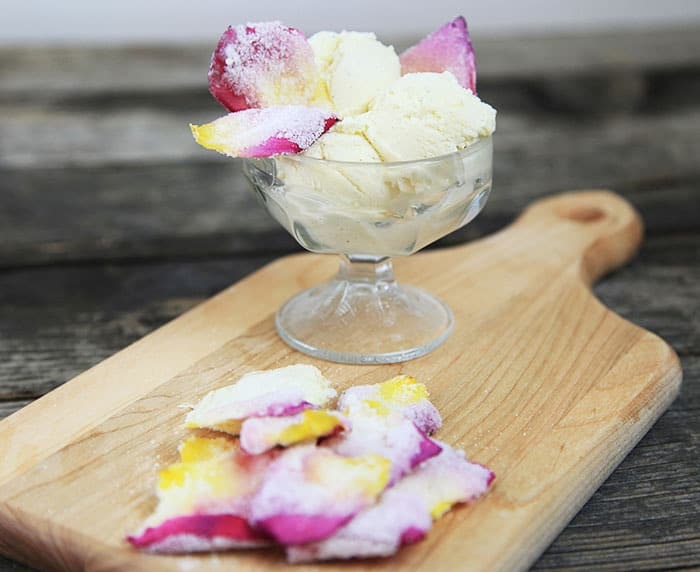 Surprise your sweetheart (or yourself) with ice cream and candied rose petals on Valentine’s Day. 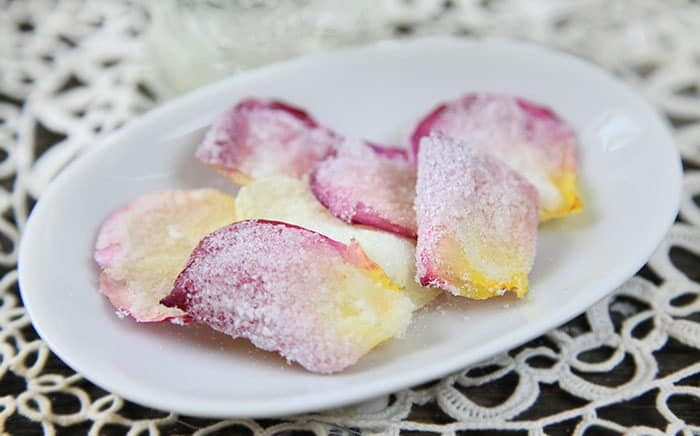 of course i am going to surprised this receipe to myself with my freinds.By using candied rose petals its too attractive. or reviews and other information, is there any other web page which gives these kinds of things in quality? kill mob boss Steven Mandragora, the man who killed her father.